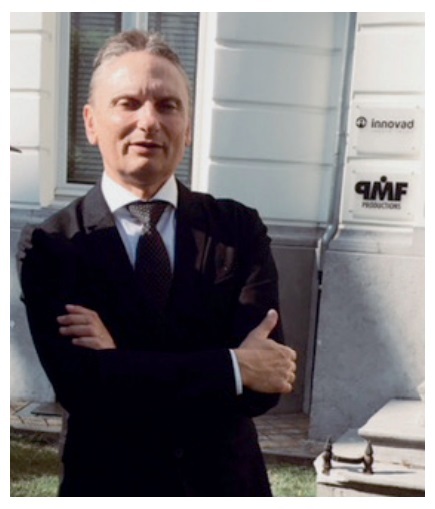 As part of the strategy to strengthen its global presence, Innovad® is proud to welcome Guilherme Minozzo as the newest addition to their management board. Guilherme Sprengel Minozzo has joined Innovad’s subsidiary in Brazil and will be leading all business activities in South America. He brings more than 25yrs of experience in the animal health industry, most recently as VP of Latin America at Alltech where he transformed the company’s business team in order to meet customers’ needs and new business expectations. Innovad® is a group and a brand that combines people’s long time experiences in the field of animal feed additives and an innovative approach and dedication to animal well-being and a healthy environment whilst securing the producer’s cost effectiveness. As part of the strategy to strengthen its global presence, Innovad®is proud to welcome Guilherme Minozzo as the newest addition to their management board. Guilherme Sprengel Minozzo has joined Innovad’s subsidiary inBrazil and will be leading all business activities in South America. He brings more than 25yrs of experience in the animal health industry, most recently as VP of Latin America at Alltech where he transformed the company’s business team in order to meet customers’ needs and new business expectations. Guilherme has an academic background as veterinarian and did different postgraduation courses in marketing, business management and leadership. Innovad® is a group and a brand that combines people’s longtime experiences in the field of animal feed additives and an innovative approach and dedication to animal well-being and a healthy environment whilst securing the producer’s cost effectiveness.